A review of the restaurant, Sandra's on the Park, located in Hales Corners, Wisconsin. I recently dined with family at Sandra's on the Park on a Friday evening. We each enjoyed the fish fry, available in either a 3-piece or 4-piece. For a small additional charge, soup and/or salad can be added. We all agreed that the beer batter was done to absolute perfection. The french fries, coleslaw, and additional clam chowder were all very flavorful and satisfying. The additional house salad I had with ranch dressing was gourmet and hit the spot. Loaded with a colorful and lush array of vegetables, we're not talking a plate of iceberg with a couple of cucumbers and tomato slices here. And the marble rye bread was salted, a treat that you don't seem to find much in restaurants anymore. On top of that, it already comes buttered for you! 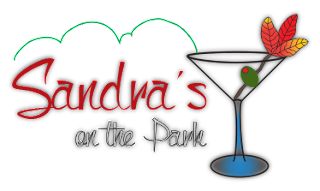 Pleasant dining atmosphere and friendly, helpful staff combine with the food to make Sandra's on the Park a big win.